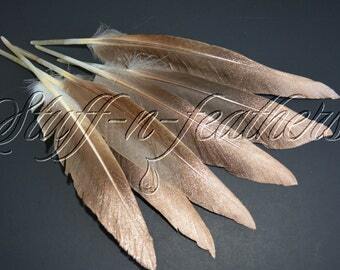 This is a listing for 6 premium handpicked natural brown / gray duck pointers feathers with gold tips. These feathers are lightly painted with metallic gold paint at the tips. 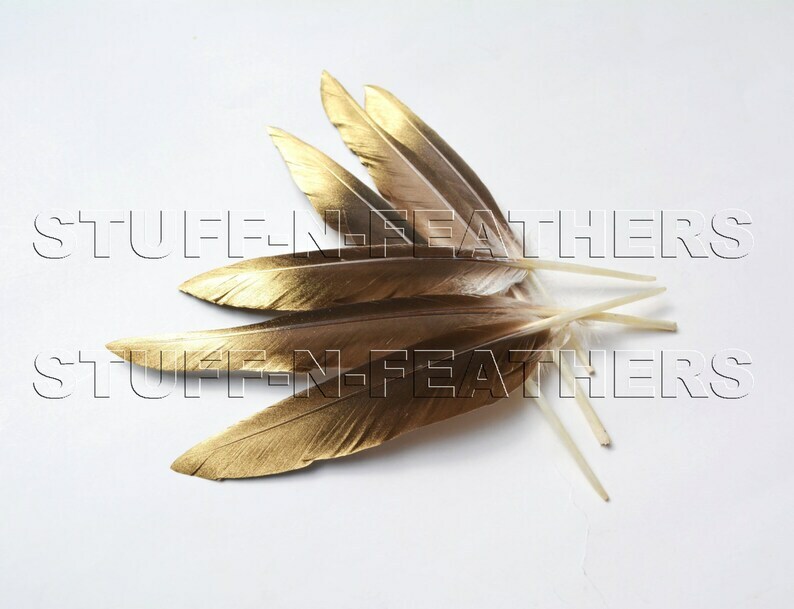 Gold color is not absolutely solid and has dusting effect slowly disappearing and creating beautiful transition. 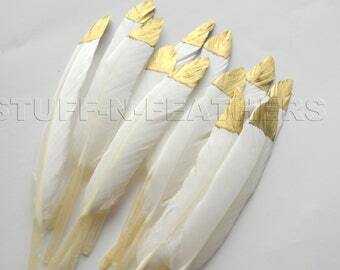 These are stiff feathers from domestic ducks with silky hair, usually more hair on one side of the feather. 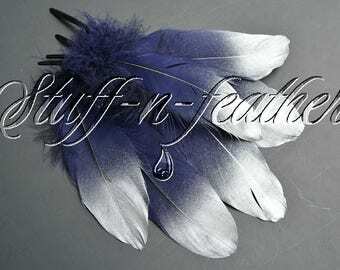 These feathers are very popular for wedding décor, photography, masks, head dresses and other creative applications where you need a larger stiff feather. Beautiful! 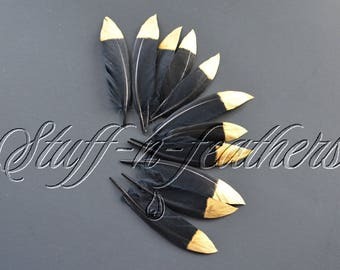 I love the look of the gold paint on the natural brown of the feathers.